Note: For Overseas Orders within the EU, please send us an email at unistat@unistat.com.cy with your Name/Address/Tel. No and the Products and Quantities you wish to order. We will then send you a comprehensive quotation including shipping costs and VAT. If you accept our quotation you will be asked to proceed with the payment via bank transfer. As soon as you send us the proof of payment via email and we confirm receipt of the payment, we will proceed with the shipment of your order and will send you the link to track your shipment. UNISTAT LTD, according to the product warranty legislation of the Republic of Cyprus and the E.U., offers its customers a 2-year limited warranty ‘’LEGAL WARRANTY’’. The warranty is valid from the date the customer purchased the product. If the product is replaced, the warranty period will continue for the remainder of the 2-year period. 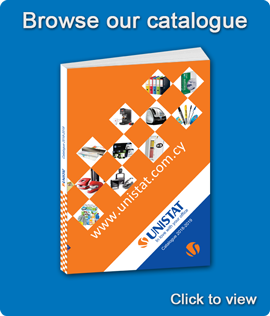 During the term of warranty, UNISTAT LTD, at its discretion, shall repair or replace free of charge the faulty product. UNISTAT LTD shall return the repaired product or another product to the buyer in operational condition. In case of product repair, the faulty part/s shall be replaced. It is noted that the terms ‘’parts’’ include all parts of the product without any exceptions. In order for the limited warranty to be in force the buyer is obliged to present the original receipt of the product. On certain products sold by UNISTAT LTD an additional commercial warranty is offered from the product manufacturer. The commercial guarantee is will be mentioned on the products’ packaging and/or manual and/or guarantee insert and/or the Company’s online shop, and is subject to the following conditions and/or the conditions mentioned on the product’s packaging and/or manual. The defect was caused because the product was used in a manner contrary to the manufacturer’s instructions, the product was exposed to extreme thermal or environmental conditions, humidity, erosion, oxidation, non-authorized alterations or connections, non-authorized opening or repair, repair with the use of non-authorized parts, misuse, inappropriate installation, accident, natural phenomena, food or liquid or other actions beyond the reasonable control of UNISTAT LTD (including, but not limited to, defects in consumable parts, such as batteries which are by nature of limited lifetime) unless the defect is directly caused by defects in materials, designs or human work. The product serial number or the IMEI number have been removed, erased, altered or are impossible to read. The defect was caused by defective network operation. The defect was caused because the product was used or connected to an accessory that is incompatible with the technical features of the device/appliance. The product software needs to be upgraded due to changes in the network parameters or changes in its software by a non-authorized person. The defect is due to a file or program placed on the internal or external memory of the device. The product has not been inspected by the Company’s technical department to verify and confirm the defect of the product. The product was not returned to UNISTAT LTD within thirty (30) days as of the occurrence of the defect during the warranty. All consumables or accessories of a product, e.g. (chargers, batteries, headphones, inks and so on) are covered by a warranty of good functioning under the conditions stated above for a period not exceeding three (3) months. The warranty on some consumer products (ex. 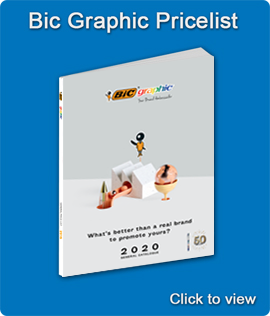 office supplies, stationery, paper products and so on) relates to the correct operation of the product based on product’s nature, properties, specifications and product description. For Corporate Customers, only the manufacturer’s warranty applies. 14:30 Monday - Thursday (16:00 for Nicosia) and by 12:30 Friday (14:15 for Nicosia). Orders delivered with UNISTAT delivery service are not trackable. You can call us to inform if your order is on the way for delivery. Orders delivered via courier are trackable only if you request to provide you with the tracking number of your order.